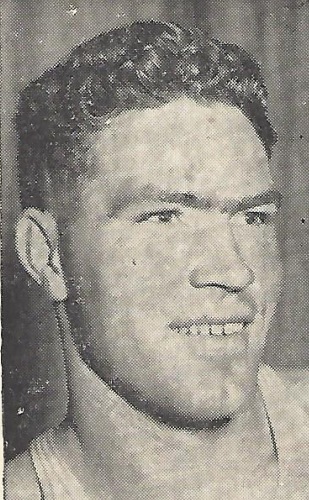 Bob Brannum attended the University of Kentucky and Michigan State University before he turned professional in 1948. His first three seasons with the Sheboygan Redskins were unique because each was played in a different league: National Basketball League (1948-49), National Basketball Association (1949-50) and the National Professional Basketball League (1950-51). Brannum quickly established himself as a strong rebounder and aggressive defender and capable scorer. In his final season with Sheboygan, Brannum was selected first-team NPBL center and posted a league-leading 19 points per game scoring average. Brannum spent the next four seasons with the Boston Celtics before he retired as a player in 1955. He later coached basketball at Norwich University, Kenyon College and Brandeis University where he won a school-record 204 games. Robert W. Brannum Born: May 28, 1925 Died: Feb 5, 2005 Hometown: Winfield, Kn.